Anyone who regularly cleans up after uncoordinated toddlers, careless teens, or hungry husbands will appreciate the insane genius of the CaliBowl. Its sleek, patent-pending design makes it nearly impossible to spill its contents while you’re scooping them out. Cereal and milk? Spaghetti and meatballs? Chips and salsa? Bring 'em on, dude! Surfer dad Jeff Bollengier designed CaliBowl to deal with the bummer of not getting enough salsa on his chips. But no matter what you’re dishing out in your CaliBowl, food will stay put thanks to its unique edge. The lip of the bowl literally pushes the contents onto your chip or utensil (or right back into the bowl) in a wave-like action. It’s hard to explain, but once you see CaliBowl at work (watch the video, man) you’ll be hooked and think of dozens of uses. CaliBowl comes in ceramic or polypropylene, a plastic polymer made from partially recycled materials, and they’re all dishwasher and microwave safe. And when you’re ready to retire it, you can return the bowl (they’ll recycle the materials) and you can get a 20% discount on your next one. Now that’s awesome. Hi Daily Grommet fans! I'm really excited to have CaliBowls featured here today. 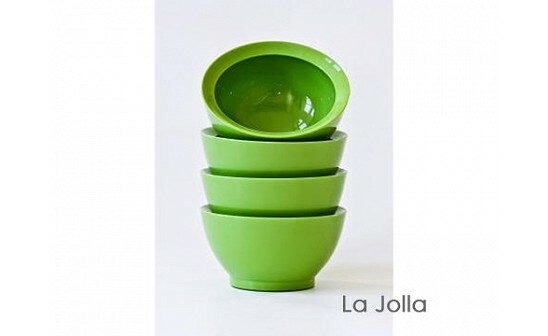 I'm the creator of these revolutionary bowls, and I invite you to give them a try for devouring your favorite foods. 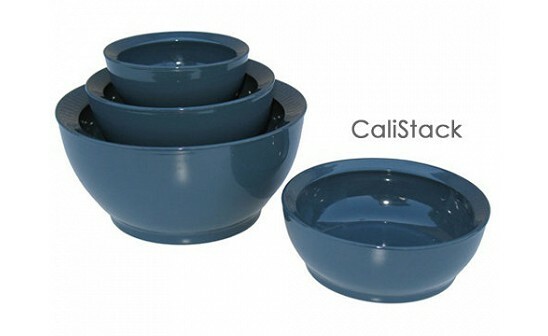 CaliBowls work because as the the contents are forced to the side of each bowl, the inverted lip causes a wave-like recirculation back toward the CaliBowl center. 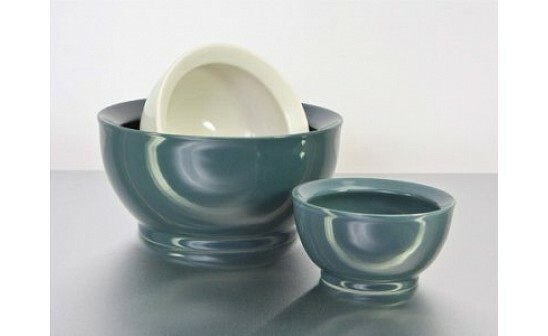 Whether you are using a chip, a spoon, chop sticks, your hand, or any other utensil the CaliBowl not only prevents the contents from spilling, but effortlessly guides the contents back toward the utensil making eating, mixing, feeding, cooking, whipping, and scooping more fun and exciting! We truly have changed bowl based eating forever! 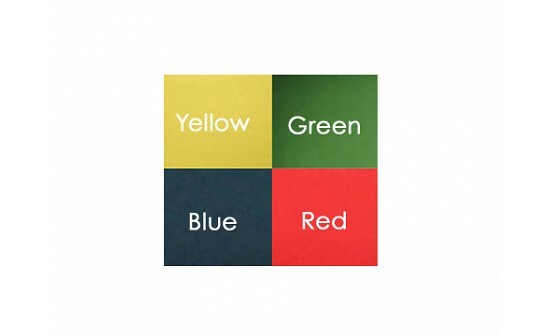 One more simple concept that just makes life more enjoyable and less frustrating. I look forward to reading all your comments. This looks great for toddlers and messy kids. I could use a little less clean up in my kitchen! These look terrific. I just ordered the set of 4 with the intention of using 1 or 2, with a jar of salsa as "hostess gifts".. 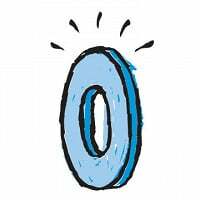 Thanks, Grommet - another innovative product to add to your list! Can't decide between the ceramic or the plastic. I really would never have thought that the bowl was "broken" - this is really cool. 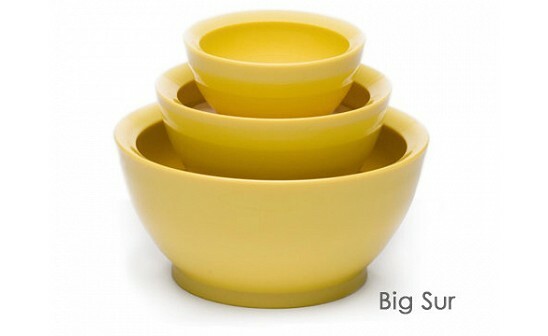 CaliBowls are also microwave-safe, and they are BPA-free. I have a strong preference for lightweight bowls in the kitchen, so I'm excited to know about this option because I use my microwave often. @Jeff I am kind of chuckling about the part of the video when you say "getting enough salsa on a chip was my biggest problem". I know you don't MEAN that is your biggest problem in LIFE. It was your biggest bowl-and-life-related problem. I love how people like you decide to change something if it bugs you. That's usually the moment of conception for a Grommet, like the CaliBowls. Glad you had yours! Hey Jeff, did your surfing days inspire you to do the curve thing to the bowl? Sort of reminds me of a wave. I think this bowl would be awesome for having friends over to watch a game. You know when bases are loaded, you are just digging into that salsa bowl.... there's a line drive towards 3rd......oh man, and the salsa ends up in your lap. We've all been there. Great idea, wish I had thought of it. How do you get the underside of the lip clean in the dishwasher? Also, if it doesn't have food stuck in there, does it trap dishwasher water anyway? Hi Val, The Calibowl has optimized transition so it's flawless to bank off of while eating. Dishwasher tested and approved as easy to clean as a conventional bowl. Val try one and you'll realize what we call "the Cali effect" it's just a better bowl. Well, even a very small market share of the global bowl business should be several BILLION dollars (don't know your margins though), so I'll blow a little wind in the CaliBowl sails with an initial order and some word of mouth and say I was an early adopter when you finally release CaliBowl Snow Leopard (I'd rather see you aspire to be Steve Jobs...less geeky and rich enough! )...Good luck to you! Just catching this exchange a month plus later. Cracked me up. FYI, we are doing some design work on the Daily Grommet site and chose the Calibowl to be our "poster child" on all the mockups. Understated, problem-solving, beautiful. A goal for our site, too. Do all the bowl sizes come with lids? @Nynn, no they don't come with lids. Thanks for stopping by! Anyone who regularly cleans up after uncoordinated toddlers, careless teens, or hungry husbands will appreciate the insane genius of the CaliBowl. Its sleek, patent-pending design makes it nearly impossible to spill its contents while you’re scooping them out. Cereal and milk? Spaghetti and meatballs? Chips and salsa? Bring 'em on, dude! Surfer dad Jeff Bollengier designed CaliBowl to deal with the bummer of not getting enough salsa on his chips. But no matter what you’re dishing out in your CaliBowl, food will stay put thanks to its unique edge. The lip of the bowl literally pushes the contents onto your chip or utensil (or right back into the bowl) in a wave-like action. It’s hard to explain, but once you see CaliBowl at work (watch the video, man) you’ll be hooked and think of dozens of uses.